The large room was lined with beds, each a home-base for a mother and her child as their waited their turn to have surgery and graduate out of the ICU. Mothers whiled away their time talking and fussing over their babies. “Really? Come with me…” Salima’s mother hopped off the bed and waved for me to follow. She was dressed in a long, black abaya that brushed the floor, and took a moment to quickly fix her face veils into place before we we walked out of the ward. We made our way down the long hallway and out to the open area where the fathers, leaning against tile walls, spent their time waiting. It was easy to fall in love with Salima—doe eyes, a darting tongue, and hands that clasp in the sweetest way. It was also easy to fall in love with her because we got to spend a lot of time with her. 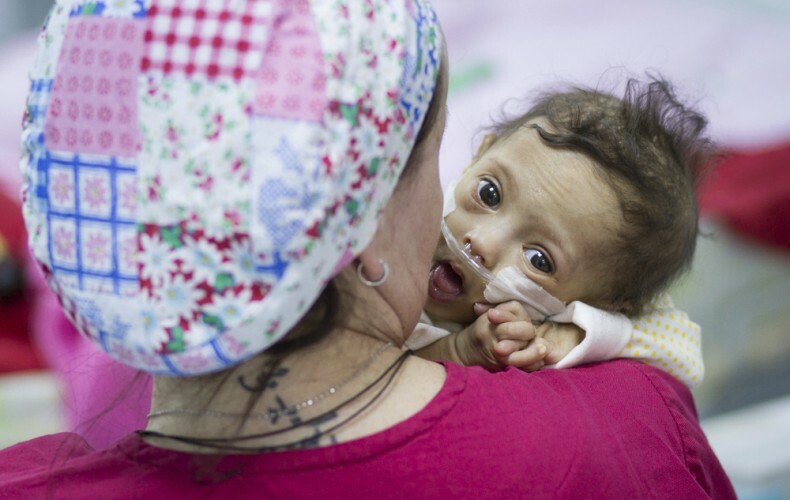 Children with Down syndrome, like Salima, often have complicated heart defects and complicated recoveries. Their recoveries take longer, and there are sometimes setbacks. Setbacks are particularly hard to take for parents who watch other children recover quickly—sometimes within a day—and leave the ICU, while their own children stay. It’s hard. 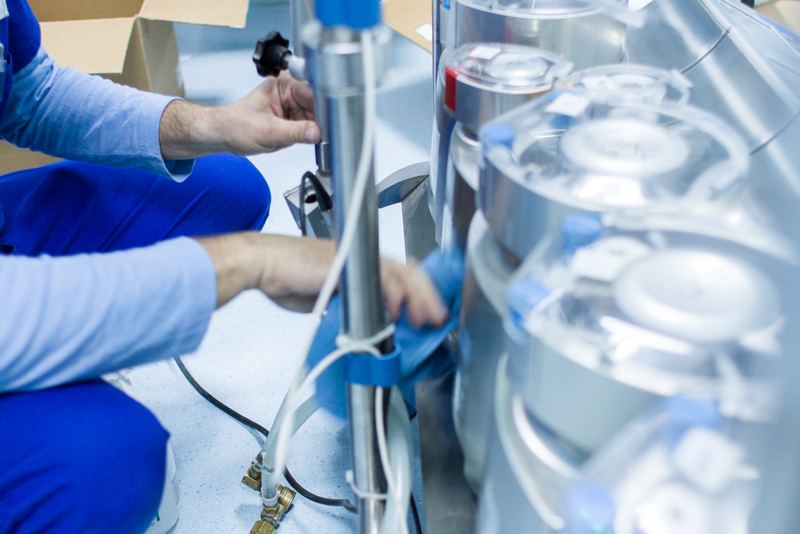 Long recovery times can make ICU management complicated. 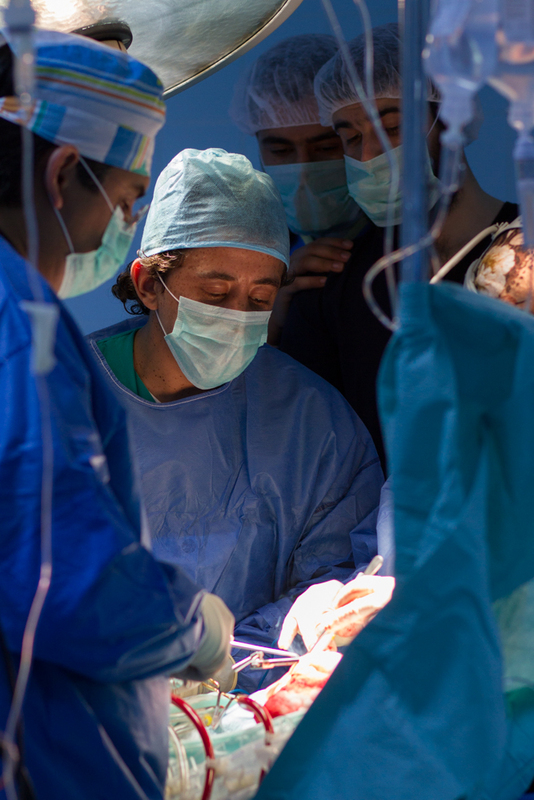 The number of surgeries performed is directly related to the capacity of the ICU—if there aren’t open beds and the corresponding staff available to receive children after their surgery, then the surgery can’t be performed. 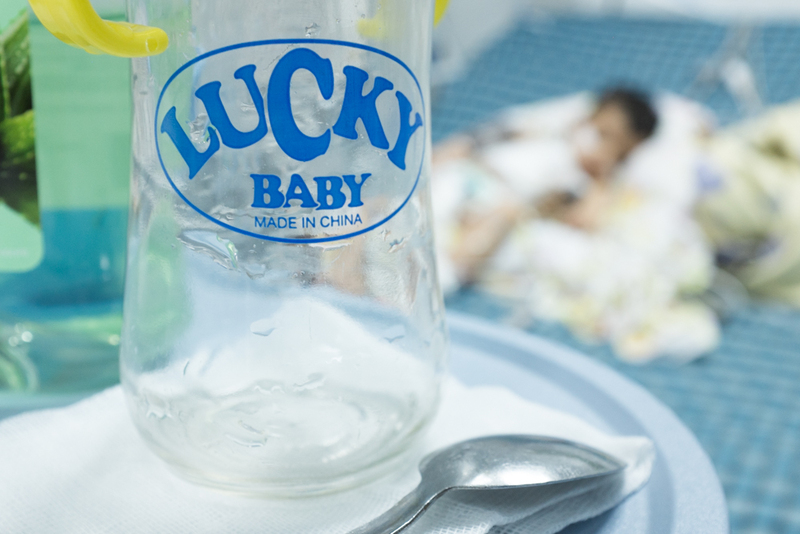 As a result, other children have to wait longer for their surgeries. In many parts of the world, children with Down syndrome have a hard time getting surgery at all. They are often deemed unworthy of scarce resources. 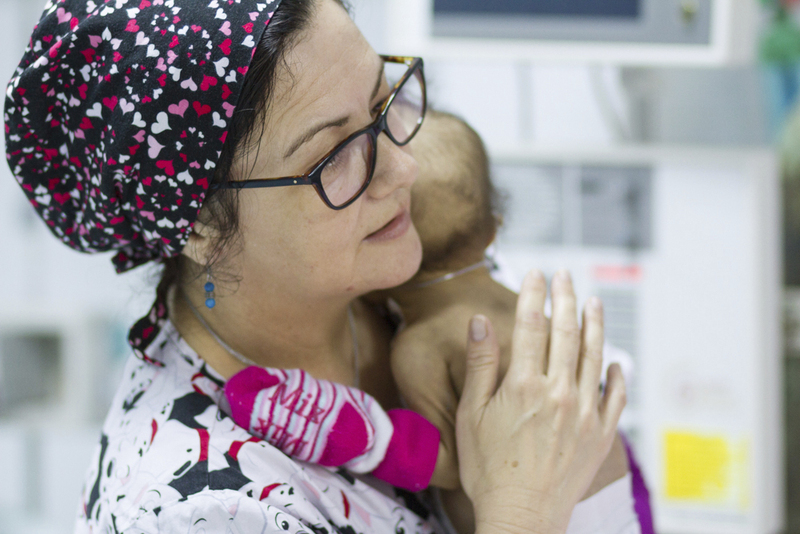 Our team intentionally includes children with Down syndrome, like Salima, in every surgical mission. We know the value of these children, both to their adoring families, as well as to the wider community. Before she was discharged, Karen—one of Salima’s nurses—got a photo of the two of them together. 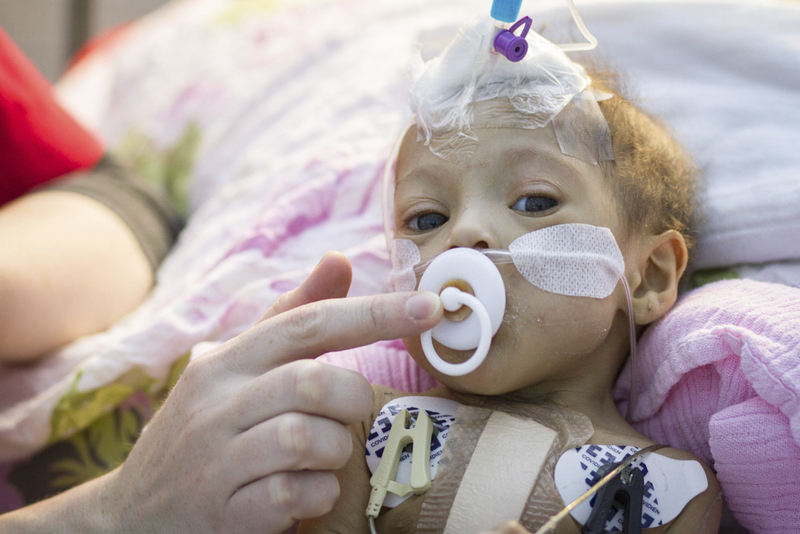 During her stay in hospital, Salima’s hair has filled in—grown longer and darker. She is bigger and more active. More of her personality is shining through—with lots of busy squirming when she feels well, and quiet little bird-like squawks when she doesn’t. Dr. Rodriguez was talking as much to himself as he was to the local cardiologists beside him. 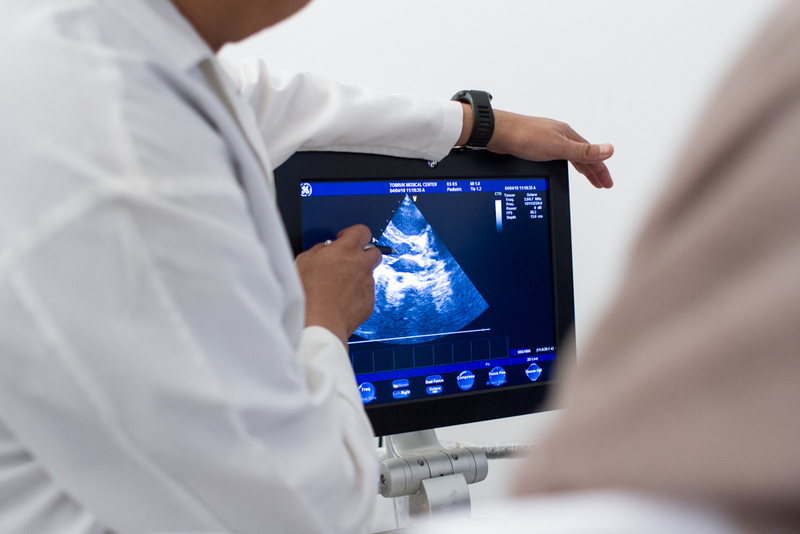 He carefully studied the illuminated echocardiogram screen, then turned back to the cardiologists. Dr. Miriam passed the ultrasound wand over each child’s chest—again and again honing in on particular spots of each small body. They spent as long as necessary with each child to figure out their own unique physiological puzzle. But isn’t every heart the same? When an adult develops a heart condition, doctors look for disease or damage to a “normal” heart. The doctor knows exactly where to look, and has a good idea what will be found before ever seeing an image of the heart. “Normal” hearts are all made pretty much the same way. In children born with congenital heart defects, every heart is different. Some children have 3 heart chambers instead of 4. Some are missing ventricles, or have them crossed. There are countless problems and variations, so it’s a challenge to determine exactly what path the blood takes. Dr. Rodriguez coached the cardiologists to look further than the defect itself—to figure out the larger picture. Often the first answer—the obvious answer—doesn’t provide the best solution for the child’s overall health. Zaid and his heart provide a perfect metaphor for Libya and the troubles it’s facing. 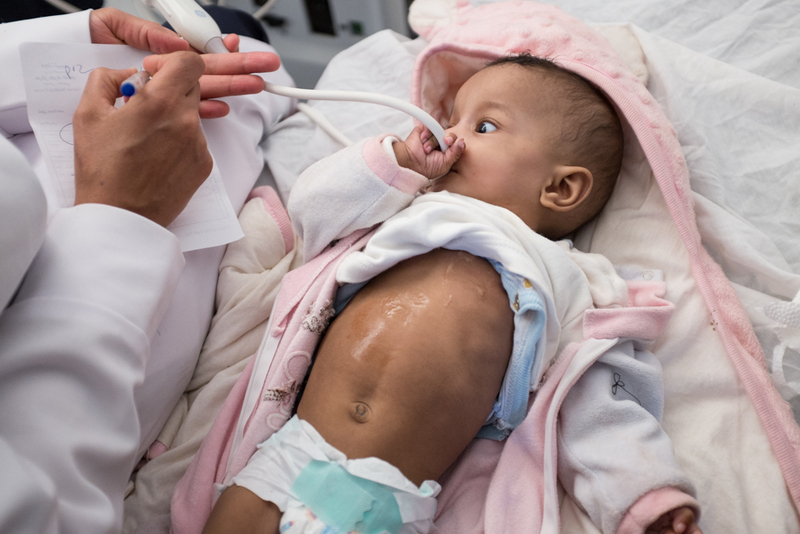 Libyan children need heart surgeries—so providing heart surgeries is the best solution. Unless, of course, it isn’t. 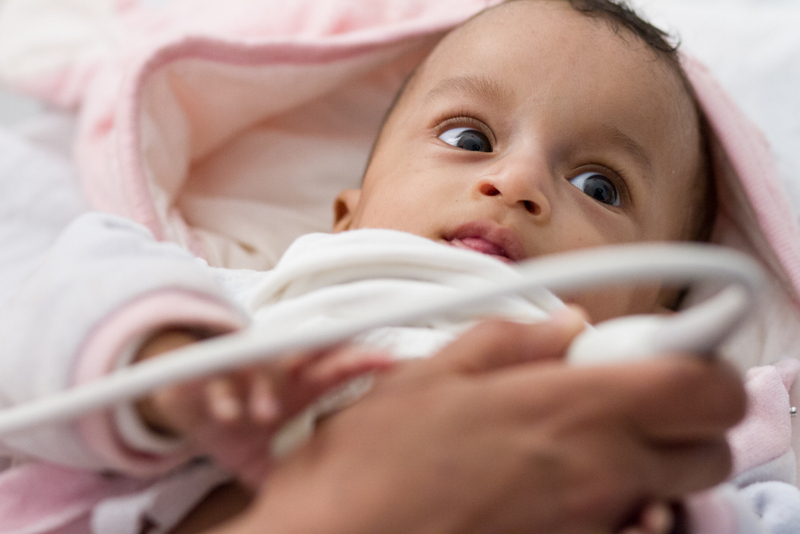 When we provided Zaid with heart surgery, we helped him and his family. 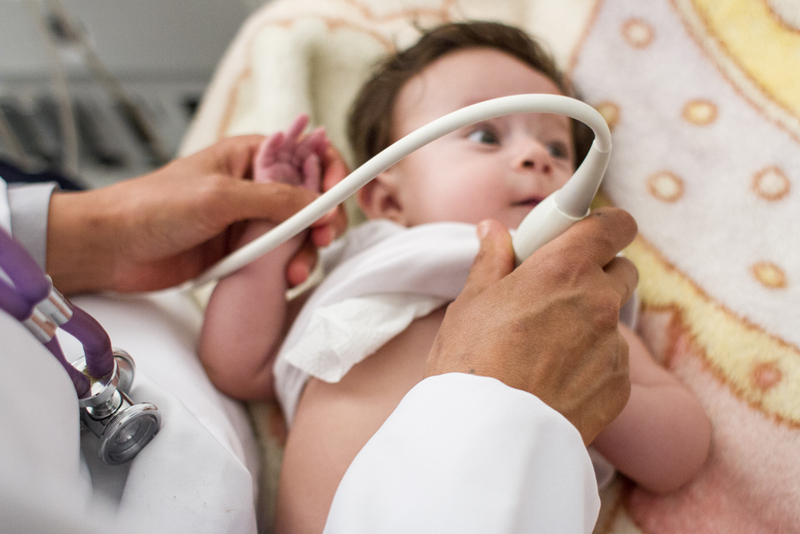 When our doctors and nurses spent crucial time teaching local doctors and nurses—honing diagnostic skills, developing new surgical techniques, reinforcing best nursing practices—we didn’t just help Zaid. We helped the whole country. Libya doesn’t have the skilled professionals it needs to take care of it’s own children. Every time we return, pairing surgery with education, we bring them closer to never needing us again. 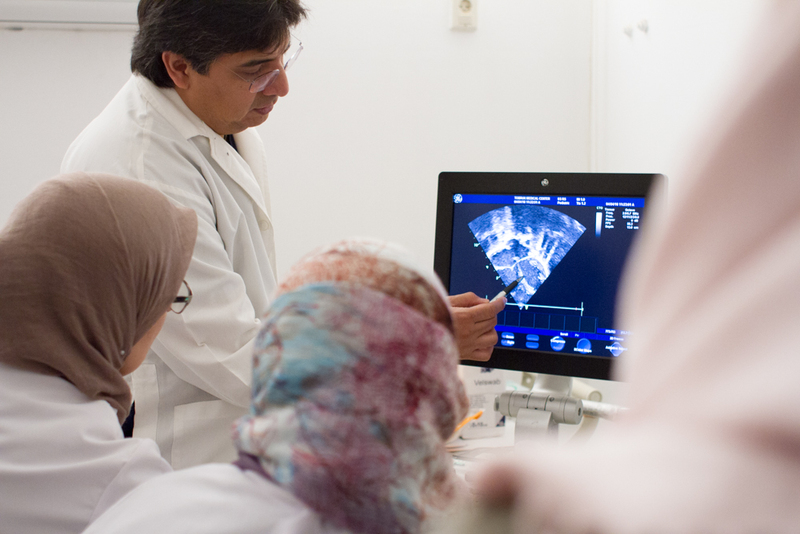 We work toward rising the tide in the Libyan health care system—encouraging a culture of highly skilled excellence. The situation in each country we work in is a little different. And just as we make sure that each child’s heart gets the right correction, we make sure that the solutions we bring to each country help the broader needs. When you donate, that’s what you help to make happen. He likes to sleep sideways in bed. He loves his mom like crazy, and missed her so much when she wasn’t beside his bed he called out to her “Mama! Mama!”, and tried to escape his bed to go find her every chance he got. He loves milk almost as much as his mama, and finds comfort in his bottle the way other kids use a soother. Oh, and Seraj has a genetic disorder that caused him to be born with a defective heart. In the first, intense moments of motherhood, when Seraj’s mom counted his fingers and toes, looking for hallmarks of health, she probably didn’t think anything of his broad neck, wide-spaced eyes, or the fact that his ears are low-set and tip toward the back of his head. But his doctor certainly noticed. Seraj was born with some of the classic signs of Noonan Syndrome. 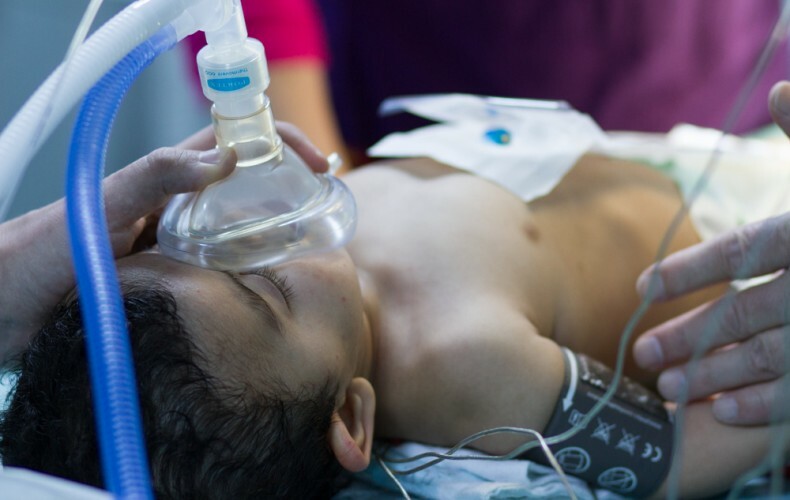 And from the first glance of this beautiful, squirming, dark-haired boy, Seraj’s doctor knew the chances were high that he had a heart defect. Noonan Syndrome might have been inherited from his parents, or it might have happened spontaneously in his earliest days of development. Either way, Seraj’s genes prevent some parts of his body from developing normally—including his heart. If Seraj had been born in a different part of the world—America for instance—where he could get the medical care he needed early in life, he most certainly would grow up to adulthood, and lead a normal, independent life. But he wasn’t born in America. He was born in Libya, at at time when the country is crippled by violence, financial instability, and lacks the medical professionals to correct the life threatening defects he was born with. On their own, Seraj’s family had little chance of getting to see their boy grow up. They simply don’t have the means or connections to send him out of country for surgery. 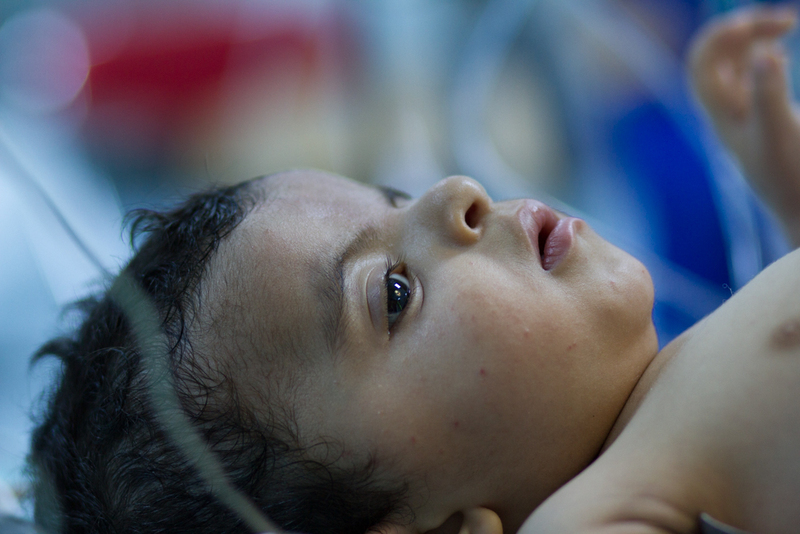 You helped Seraj get the lifesaving heart surgery he needed. 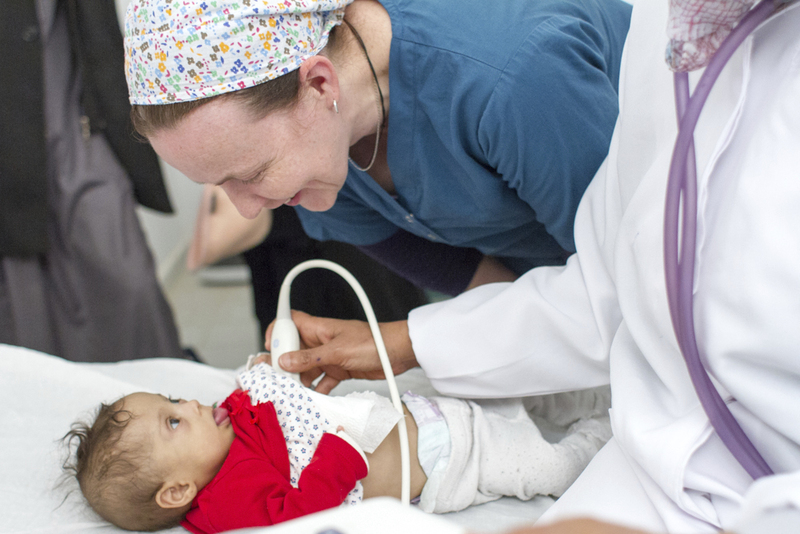 You helped local doctors and nurses learn how to better correct heart defects like his. 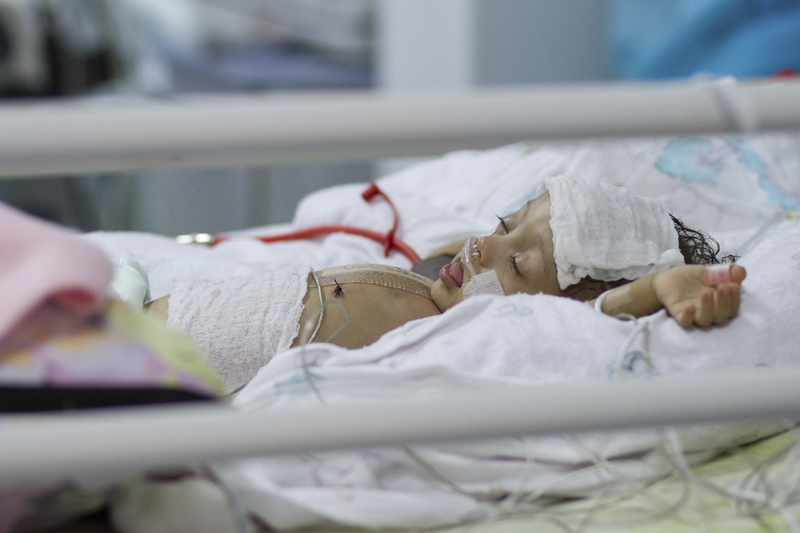 You made life better not only for Seraj, but for so many other children who will come after him. When Seraj grows up, he will always be short. His facial features will probably soften, so it will be harder to tell that he has Noonan Syndrome. He might grow out of his love for milk, but hopefully not his love for his mama. Because he received heart surgery, we can make endless guesses about his future. Because now he has one. In the Hollywood version of surgical scenes, a surgeon bursts into the operating room using his hip to push open swinging doors. His scrub cap and face mask are already in place, and his freshly scrubbed hands and forearms are held high in the air to keep them sterile. 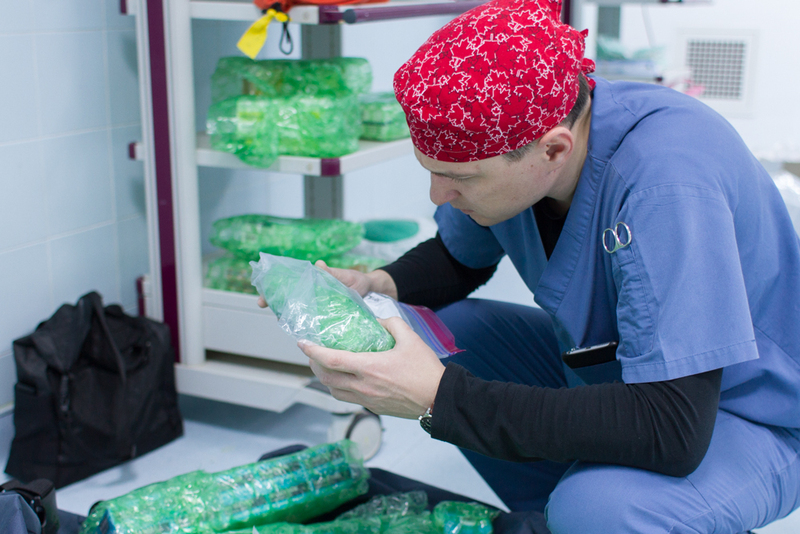 He enters a busy, equipped operating room, his patient ready on the operating table. We don’t see the intensive care unit until later in the episode, but it too is equipped and ready to receive the mended patient. I guess it goes without saying—we don’t work in Hollywood. 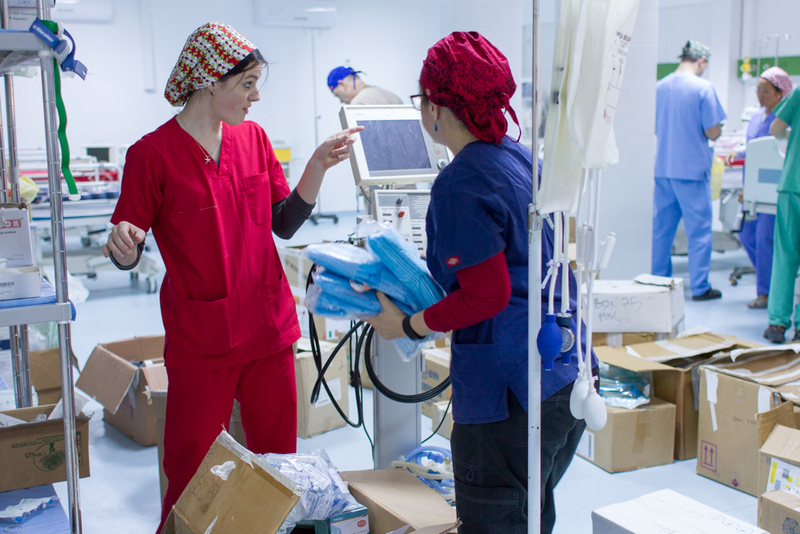 Each country is a little different, but every time we arrive at a developing cardiac programme like the one in Libya, we arrive to virtually empty rooms. The largest equipment is in place, but there are no supplies at hand, and no stations ready for patients. Before we can see a single patient, we have to create the space. 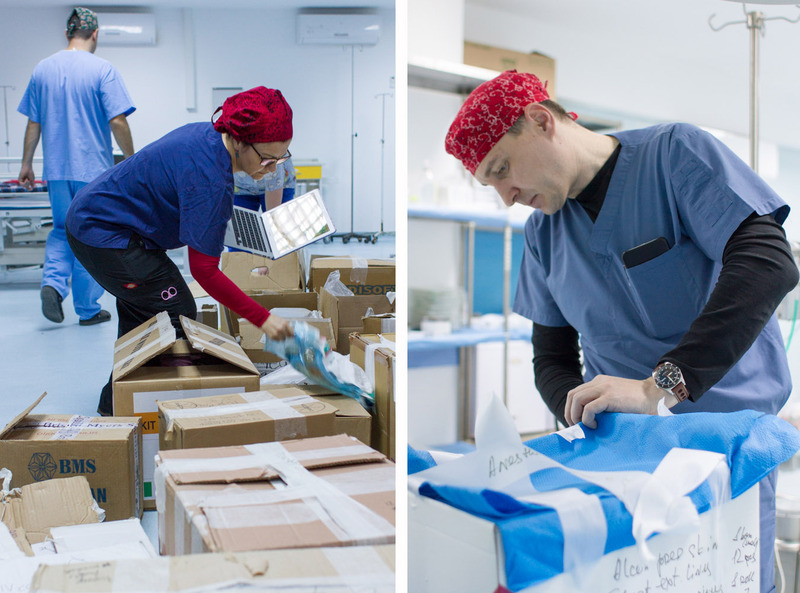 The first day of every mission in Libya is filled with cleaning and unpacking, counting and inventory-taking, sterilizing and strategizing how to best use scarce supplies. There is equipment to be calibrated and tested, batteries to be replaced, and instruments to be repaired. It’s not glamorous work, but it is essential for everything that comes after. 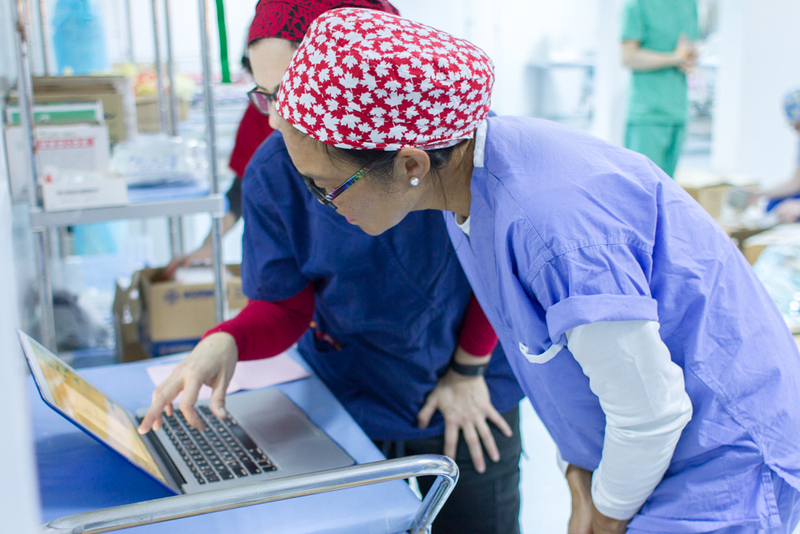 When we finally have all of our supplies and medications at our fingertips, know what we have to work with, and know what must be carefully conserved, we are ready to begin surgeries. Being fully prepared, and methodically assessing what we have at our disposal isn’t just for our own sake—it reinforces what we teach local staff: the importance of effective systems, of testing, creating functional stations, keeping careful tracking of tools and equipment, and of preventative maintenance. Consistency sets the stage for everything else we do, and that starts from the very first day on site.